What kinds of vacuum cleaners are there? Which vacuum cleaner is right for me? 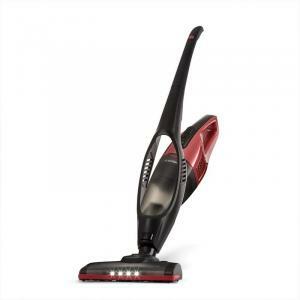 Thanks to modern technology, there are numerous different vacuum cleaners available that can help with house cleaning. The range has also expanded significantly in recent decades in order to meet different individual requirements. 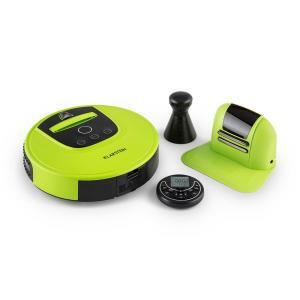 Standard vacuum cleaners with bags have been joined by handy cordless devices with battery operation, sophisticated (water) filter systems and programmable robot vacuum cleaners. 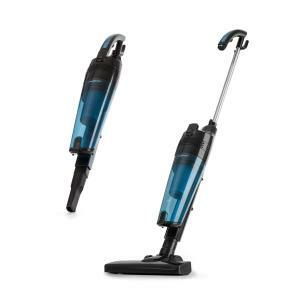 But what is the difference between these different types of vacuum cleaners? 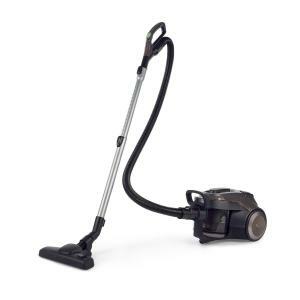 The most popular vacuum is probably the classic floor vacuum cleaner. 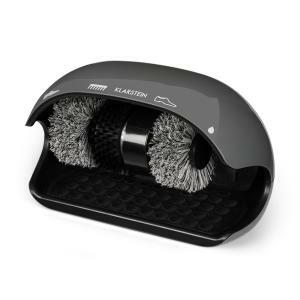 Due to the rather large capacity of the device, even larger surfaces can be cleaned excellently without having to stop to empty it. These vacuums have a housing and a suction tube and can be divided into three types: with dust bag, without bag or with water tank. The conventional dust bag vacuum cleaner works extremely quietly and allows for the hygienic and practical disposal of the dirt. However, for maximum suction, the filter and bag must be replaced regularly. In order to avoid this, many bagless vacuum cleaners are used today. Here, the dust particles are collected in a dust container inside the vacuum - without a bag. As dust is usually thrown up when opening and emptying the container, many models now use modern filter technology. For example, the use of an allergen-free HEPA filter can combat pollen and particulate matter. 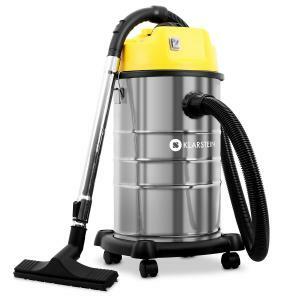 Proper house dust allergy sufferers also have the option to use a vacuum cleaner with a water tank. Here, the dust is pulled into a container with water and then trapped in the water. However, to prevent mold growth, it is important to thoroughly clean the vacuum cleaner after each use. 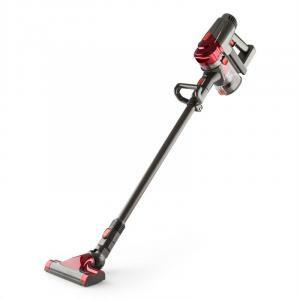 In addition, some additional vacuum cleaner types are enjoying great popularity. One of these is the cordless vacuum cleaner. 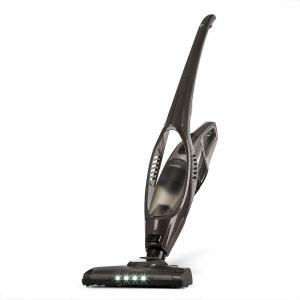 The battery vacuum cleaner does not require direct power during use, but is charged before use. This can be done within a few hours. 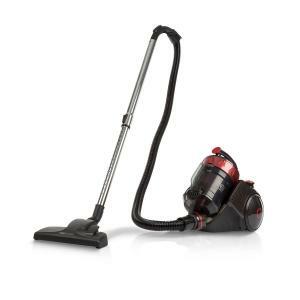 Battery-operated vacuum cleaners are often more compact and lighter than ordinary vacuum cleaners, giving them a distinct advantage in terms of agility. 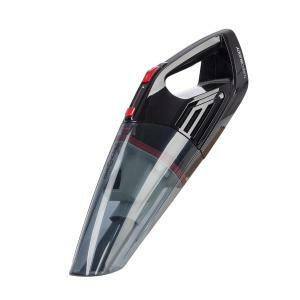 Many of these vacuum cleaners can also be converted into practical hand vacuums. Hand vacuum cleaners convince above all by how practical they are. With these devices, even hard-to-reach areas can be freed of dirt in seconds. They usually have various nozzles that can be replaced as needed, as well as a dust container that can be emptied conveniently by pressing a button. The vacuum is charged via a charging station. Robot vacuum cleaners have also been on the vacuum cleaner market for several years. They take care of vacuuming, and in some cases, even mopping floors completely independently. They are very flat, meaning that they can easily go under furniture and vacuum there. The robot cleaner typically navigates using sensors to detect and move around furniture, pets, or other obstacles. It can be programmed for a start time, and operated either directly on the device or via remote control. At the end of the vacuuming process or when the battery is dead, the device will automatically return all by itself to the charging station. 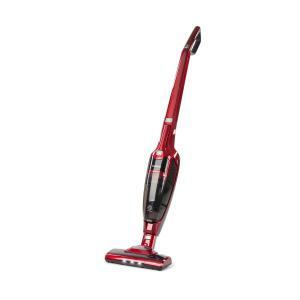 In addition, there are wet and dry vacuum cleaners that can cope even with stubborn dirt - indoors and outdoors. With them, both dry and wet dirt can be removed in one operation. 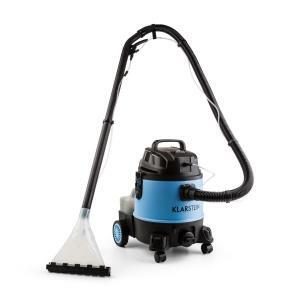 They are well suited for deep-cleaning upholstery, carpets and tiles. 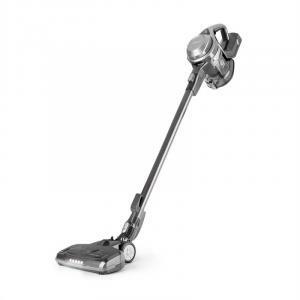 To find the perfect vacuum cleaner, it is important to ask yourself a few questions. What will the vacuum mostly be used for? Which rooms and areas should be cleaned? 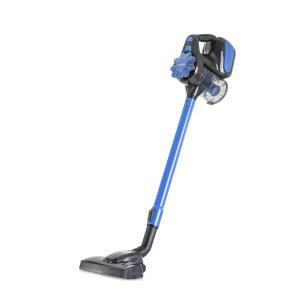 If your main focus is on the cleaning of your own home, then certainly a floor vacuum cleaner is the right choice. It can be used to clean different floors very well. In addition, you can rid carpets of dirt in no time. 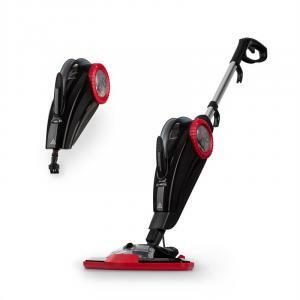 The decision between a vacuum cleaner with a power cable that requires direct power supply or a cordless one with battery operation depends on your own preferences, both versions have their advantages and disadvantages. The obvious advantage of battery-powered vacuum cleaners is that no cable hinders cleaning so it is therefore much more flexible. However, such vacuum cleaners must be recharged again and again and usually have a lower suction power. 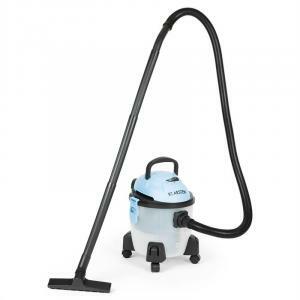 If the areas to be cleaned then exceed the size of the household, wet and dry vacuum cleaners are the right choice. 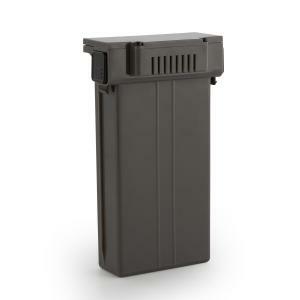 They usually have a much larger collection container and can even cope with coarse dirt. 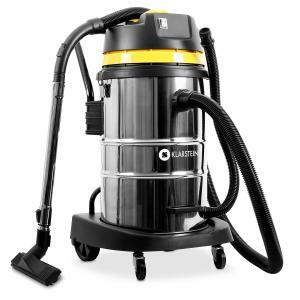 You can even use a wet and dry vacuum on the terrace, in the garden, in the workshop or garage. In addition to all of these factors, it is important to consider how extensive the supplied accessories should be. 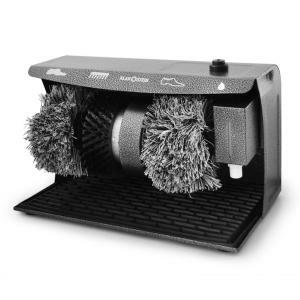 Do you want a special attachment for cleaning sofas? How important is the possible extension of the suction tube to get into any hidden corners? Here, the range of vacuum cleaners at Electronic Star offers a variety of accessories that leave nothing to be desired. Did you know that the first robot vacuum cleaner would be almost 70 years old today? In 1949, the then 17-year-old Briton Tony Sale invented a robot that could both run and vacuum. The latter feature was especially practical. The then state-of-the-art ‘George’ received signals with its shortwave antenna and then diligently vacuumed - as the forefather of the robot vacuum cleaner. Since then, several companies have been working continuously on the development of robot vacuums. However, they have only been suitable for the mass market since about 2002. Did you know that almost all robot vacuum cleaners are round? Almost everyone has now seen a robot vacuum somewhere. Most of these devices have one thing in common: their round appearance. This is by no means a coincidence, but not a question of practicality. The reason lies simply in the aesthetics and the feeling that consumers associate with it. Round objects are not only perceived as more aesthetically pleasing, but also our confidence in the competence of round devices is greater. Dirt from far corners is collected with the help of long brushes.